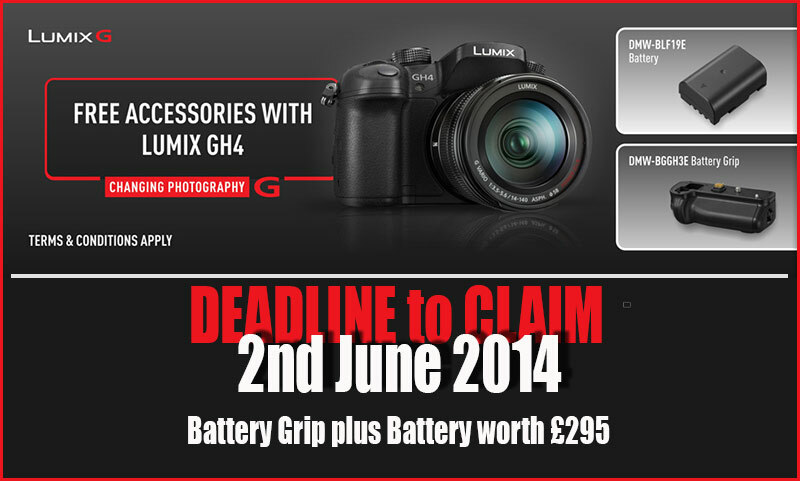 It’s a great deal but I am aware that many of you are still awaiting stock, let alone being able to buy a GH4, I hope Panasonic take this into account and extend this period by at least another month. I Have ordered this camera from WEX and have spoken to Panasonic and been assured that I would qualify for the extras as I have ordered it and the promotion deadline for claiming is in fact the 7th of July, note claiming as I have ordered before the date. HDW Yes you are 100% correct about claiming before 7th July but the camera must be bought within 10/3/14 and 2/6/14 to qualify.